Tony award-winner Lillias White (Fela!, The Life) stars as Bea in the Broadway-Bound World Premiere of Gotta Dance, based on the 2008 documentary by Dori Berinstein which tells the story of professional basketball’s first ever aged 60-and-older dance team, at Broadway In Chicago’s Bank of America Theatre (18 W Monroe St, Chicago), December 13, 2015 through January 17, 2016. Opening night is set for December 28th. Produced by Dori Berinstein and Bill Damaschke, the musical is directed and choreographed by Tony winner Jerry Mitchell, and is scheduled to head to Broadway in fall 2016. Click here for tickets and more information. The vocal powerhouse was last seen on Broadway as Funmilayo Anikulapo-Kuti in FELA! for which she received a Tony® nomination. Other awarded performances include Crowns (Audelco), Romance In Hard Times (Obie), Sesame Street (Emmy), The Lillias White Effect (2015 Outstanding Major Engagement Bistro Award), Texas In Paris (Lucille Lortel Nomination). For her portrayal of Sonja in the Broadway musical Cy Coleman’s The Life, Ms. White received the “Quadruple Crown” of Broadway Awards: 1997-98 Drama Desk Award, Friends of New York Theatre, Outer Critics Circle, and Tony® Award for Best Featured Actress in a Musical. 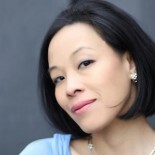 Other Broadway credits – Joice Heth in Barnum (Broadway debut), Effie Melody White in Dreamgirls (20th anniversary concert recording available on Nonesuch Records), Chicago, Grizzabella in Cats, Asaka in Once On This Island and Jonesy in How To Succeed…. Last Fall, she appeared as Gertrude in the Off-Broadway production of Billy Porter’s While I Yet Live (Primary Stages). TV credits – Gotham, Person of Interest, PBS-TV’S Great Performances-South Pacific, Law & Order, Law and Order: SVU, Sesame Street. FILM – Game 6, Pieces of April, Voice of Lead MUSE in Disney’s Hercules. Ms. White is an in-demand Cabaret and concert performer and has graced the stages of Carnegie Hall, The Venetian Room, JAZZ@Lincoln Center, The Blue Note, The SYDNEY Opera House and 54 BELOW. Ms. White holds an Honorary Doctorate in Fine Arts from the City University of New York. Ms. White stars alongside Tony® Award nominee André De Shields, five-time Emmy® Award nominee Georgia Engel, television and film icon Stefanie Powers (in her Broadway debut), Lori Tan Chinn, Haven Burton and Nancy Ticotin. The cast also features Murphy Cross, Joanna Jones (NBC’s “Sing Off”), Madeleine Doherty (Gigi), Tracy Jai Edwards (Legally Blonde), Diane Findlay (Fish in the Dark), Lenora Nemetz (Gypsy), Jonalyn Saxer (Honeymoon in Vegas), and Kay Walbye (Urinetown), along with Alexander Aguilar, Adinah Alexander, Sydni Beaudoin, Holly Ann Butler, Paula Caselton, Ari Groover, Colby Lewis, Lance Roberts, Elise Santora, Austin Scott III, and Virginia Ann Woodruff. One remarkable dance team. One big chance. One small twist. You gotta be over 60. Gotta Dance is the incredible true story of ten determined dreamers who audition to dance at half time for a major NBA team. They have three things in common: they love to dance, they have something to prove, and they are all over 60. It isn’t until they make the cut that they find out they won’t be dancing tap, salsa or swing-they are going to bring down the house with a style that’s entirely new to them: hip hop. Gotta Dance is an original Broadway-bound musical about a group of ordinary seniors with extraordinary dreams as they battle prejudice, self-doubt and each other for a chance to bust a move at center court in front of 20 thousand screaming fans. The Pre-Broadway World Premiere of Gotta Dance is part of the Broadway In Chicago Fall 2015-16 Season Subscription Series. Tickets ($42-$102) can be purchased by visiting www.BroadwayInChicago.com. Group tickets for 10 or more can be purchased by calling Broadway In Chicago Group Sales at (312) 977-1710. 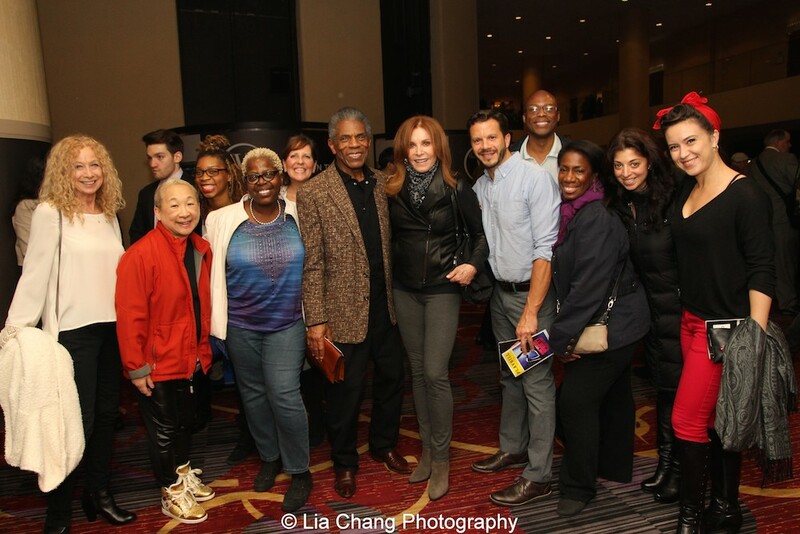 This entry was posted on December 12, 2015 by Lia Chang in African American Artists, Andre De Shields, Entertainment, Music, Theater and tagged 1997-98 Drama Desk Award, 2015 Outstanding Major Engagement Bistro Award, Adinah Alexander, Alexander Aguilar, Andre De Shields, Ari Groover, Austin Scott III, “Barnum”, Backstage Pass with Lia Chang, Bank of America Theatre, Bill Damaschke, Billy Porter, Bob Martin, Cats, Chad Beguelin, Chicago, Colby Lewis, Crowns, Cy Coleman, Diane Findlay, Disney’s Hercules, Dori Berinstein, Dreamgirls, Effie Melody White, Elise Santora, Fela!, Friends of New York Theatre, Funmilayo Anikulapo-Kuti, G.R. Point, Game 6, Georgia Engel, Gotham, Gotta Dance, Haven Burton, Holly Ann Butler, How To Succeed…., Jerry Mitchell, Joanna Jones, Jonalyn Saxer, Kay Walbye, Lance Roberts, Law & Order, Law and Order SVU, Lenora Nemetz, Lia Chang, Lia Chang Photography, Lillias White, Lin Tucci, Lori Tan Chinn, Madeleine Doherty, Marvin Hamlisch, Matthew Murphy, Matthew Sklar, Mickey Nancy Ticotin, ONCE ON THIS ISLAND, Outer Critics Circle, PBS-TV’S Great Performances-South Pacific, Person of Interest, Pieces of April, Romance In Hard Times, Sesame Street, Stefanie Powers, Sydni Beaudoin, Texas in Paris, The Life, The Lillias White Effect, Tony® Award for Best Featured Actress in a Musical, Tracy Jai Edwards, Virginia Ann Woodruff, While I Yet Live.